Despite a recent and long-dragged approval of Indian conglomerate Adani Group’s $12bn (A$16.5bn) Carmichael coal mine in Australia, the project may have to wait even longer to see completion, as it now faces fresh legal challenges from land owners. The legal action is the latest in a long list of court battles that has held up the project. A group representing the indigenous people Wangan and Jagalingou (W&J), traditional owners of the land proposed to host Adani’s coal, rail and port project, filed this week an interlocutory application in the Federal Court of Australia challenging the leases issued by the Queensland government. The group claims Queensland authorities issued the mine leases without their consent, even though Adani reached last month several compensation deals with landowners. The Carmichael project has faced relentless opposition from organizations ranging from the United Nations to green groups fighting new coal projects, which has scared banks from lending to the project. In August last year, a federal court had revoked the actual approval, citing environmental concerns. 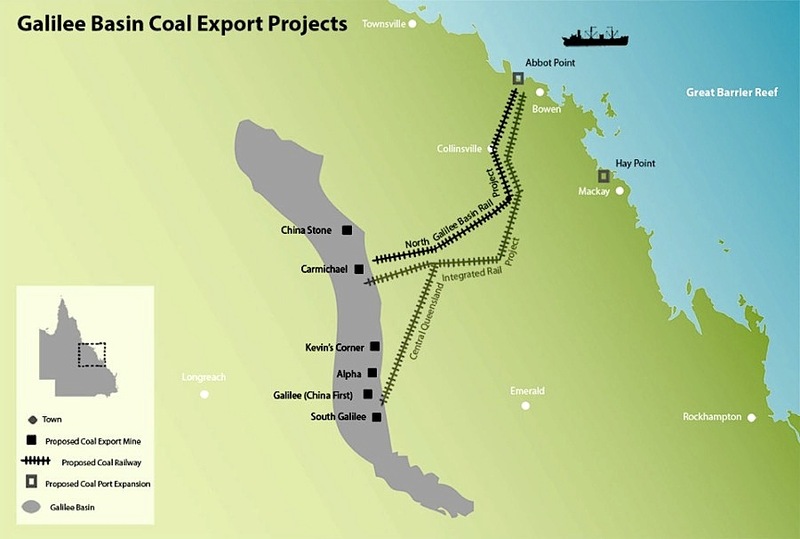 Two months later, Australia allowed an expansion of the Abbot Point coal terminal in Queensland, which will enable shipping of the fuel from mines in the Galilee Basin, including Adani Group’s Carmichael mine. According to official estimations, Carmichael will contribute $2.97bn each year to Queensland’s economy and has the potential to create 6,400 new jobs: around 2,500 construction positions and 3,900 operational posts. If built, Carmichael would be Australia’s largest coal mine.